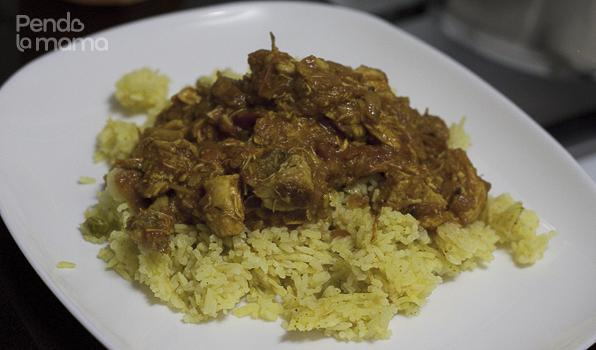 Here is a link to the page with the recipe. 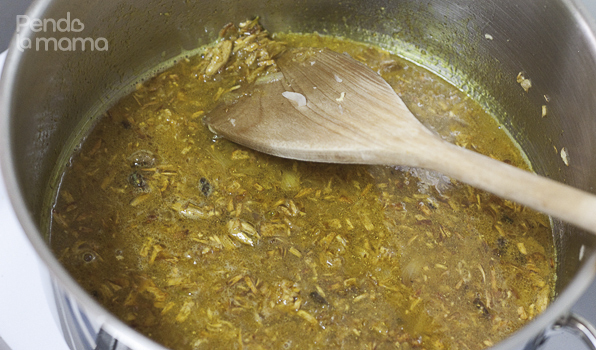 So, start with oil and the cardamom pods. 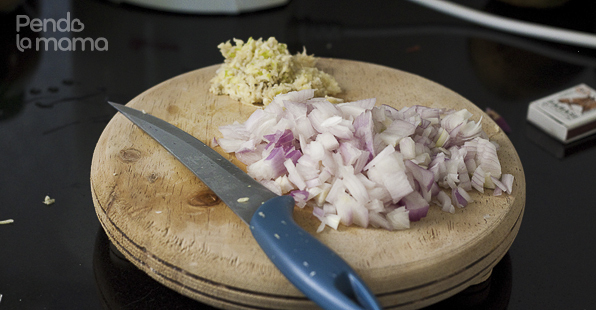 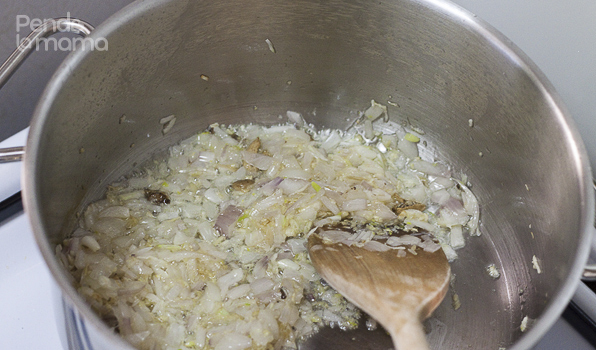 Once the oil heats up or you start to smell the aroma from the pods, add the onions, garlic and ginger. 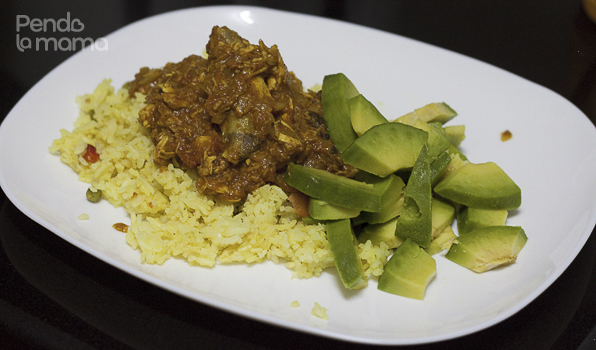 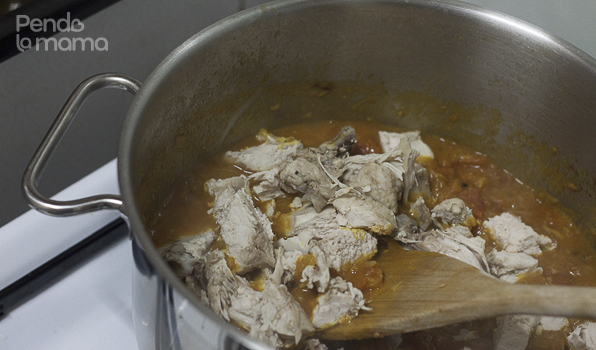 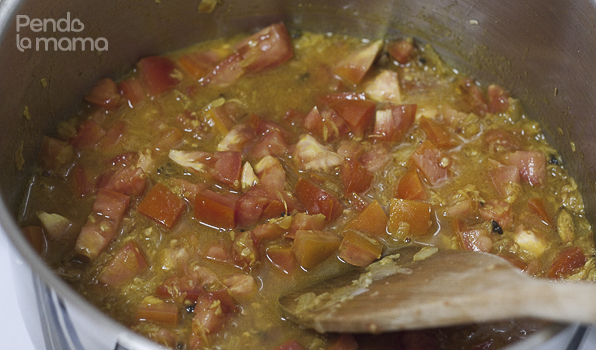 then add the chicken and the remaining cardamom, and continue simmering till the chicken pieces meld with the stew. 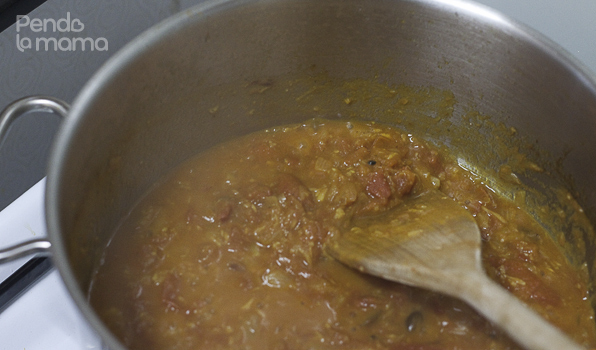 You want it to be thick without being too dry, so if it dries too much add just a little bit of water. 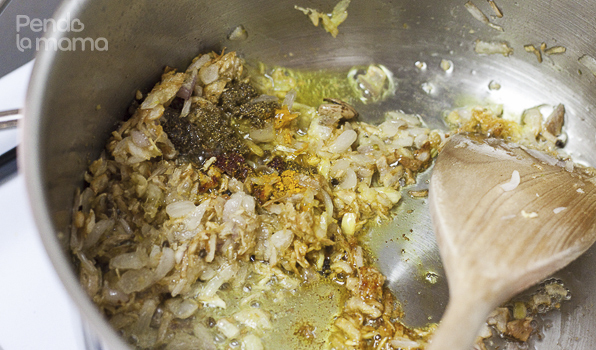 Also add salt and pepper to taste.